Enjoying a summer tropical storm's aftermath as waters recede. Erik Oriel Caro Corral and Carlos Eduardo cool off in mountain rain runoff rushing through town headed east for Rio Cuchujaqui. 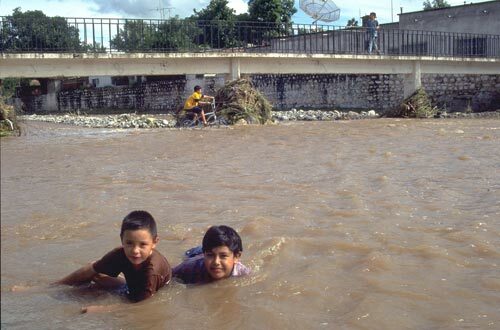 For a week this arroyo was a community swimming pool used by boys and girls of all ages. The river had come to them, for these moments, there was no need to go to the river for summer relief, Erik and Carlos were identified by someone in the audience at one of our summer open-air slideshows presented as dark fell. Antonio Figueroa produced a handful of these shows in several barrios. We would show an image, let the crowd react and then ask if anyone knew who was in the photo. A good time was had by all and most of the images now had names. Win – win. Boy in blue huddles in the early morning coolness waiting for work. This is a troubling image. 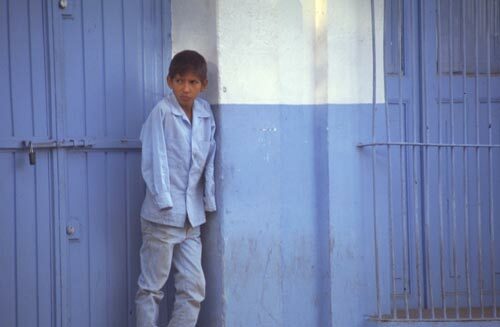 The boy in blue with a shaft of sun against a blue wall was one of the few people that were in projected images that no one recognized. 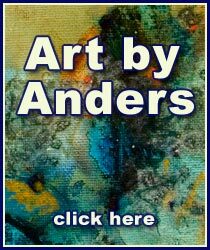 I had seen him several times sweeping and moving cases at the liquor store on the Alameda. Here, he is waiting for someone to arrive and open up the store so he could start working. This photo was taken in the Spring while school was in session. It seemed odd that none of the kids recognized him. I could only surmise he did not attend school and he had no established family roots in Alamos. 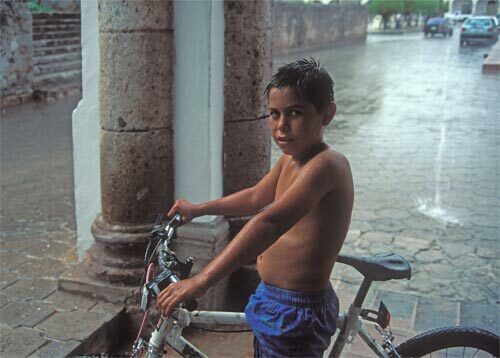 Hilario Cano takes a break from riding around the Plaza in the rain. Hilario is dressed for rain. Few avoid getting wet during summer showers. Children play in the cool rain and adults spend a moment letting the moisture refresh their skin before finding shelter. Once the cloud has moved on the reemerging hot sun will quickly dry whatever is wet. Another shower passes through and those who want to get wet get wet again. Everyone loves the rain. It is life. There are few people in, or passing through, the Alameda at this early hour. The unknown boy is watching a couple of men walking to the bus station. In the summer the boy was no longer working at the liquor store. I still wanted to know his name. I took a photo over to the store and all of the employes said they had no idea who he was. This was strange. I had seen him with them. Later, I met the owner-manager while he was singing in the Plaza at night, see Journal entry 65. I showed him the photograph. I thought now I would be able to put a name to the face. Not to be. The man had no idea who this boy was, a boy that I had seen working at the man’s store while the man was there. And that was that, there was no one else to ask. I felt as if I had visited the Twilight Zone and it was time to leave. Until now.